The 24K Collagen Collection works to plump the appearance of dull, sagging skin, while promoting a brighter, more radiant look. 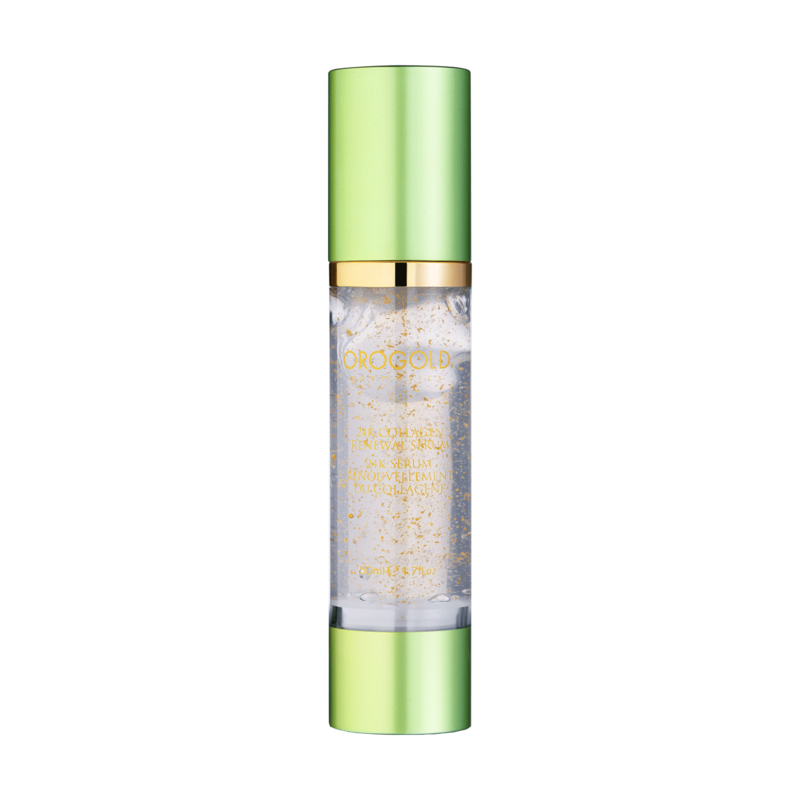 The 24K Collagen Renewal Serum helps to restore skin’s youthful radiance. This serum’s humectant and collagen-boosting ingredients like Beta-Glucan, Sodium Hyaluronate, and peptides improve the appearance of volume and firmness while reducing the visibility of fine lines. Enhance your anti-aging efforts daily with this gentle gel. Aqua, Glycerin, Palmitoyl Oligopeptide, Palmitoyl Tetrapeptide-7, Gold, Beta-Glucan, Sodium Hyaluronate, Collagen, Hydrolyzed Elastin, Sodium Polystyrene Sulfonate, Camellia Sinensis (Green Tea) Leaf Extract, Laminaria Japonica (Seaweed) Extract, Retinyl Palmitate, Tocopheryl Acetate, Ascorbic Acid, Butylene Glycol, Sclerotium Gum, Polysorbate 20, Dimethicone, Carbomer, Disodium Edta, Triethanolamine, Ethylhexylglycerin, Phenoxyethanol, Parfum.